A special one-time event documenting one of rock and roll's greatest and most unique performances. 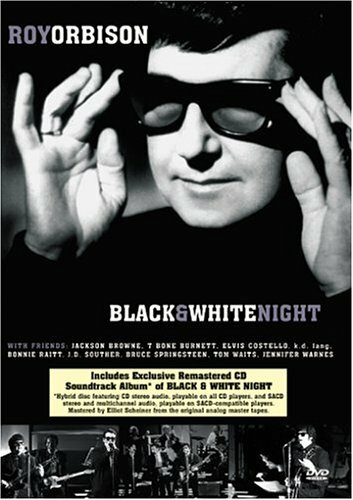 Recorded live at the Cocoanut Grove in Los Angeles, Roy Orbison is joined by an eclectic ensemble of rock and roll superstars. Highlighting this all-star line-up are Jackson Browne, Elvis Costello, T-Bone Burnett, J.D. Souther, Jennifer Warnes, k.d. lang, Bonnie Raitt, Bruce Springsteen and Tom Waits. Orbison and fellow performers spend a scintillating hour performing many of his greatest hits. Songs: Only the Lonely, Dream Baby, The Comedians, Ooby Dooby, Leah, Running Scared, In Dreams, Crying, Candyman, Go Go Go, Mean Woman Blues, It's Over, Oh Pretty Woman, Dream You, Blue Bayou, Claudette. If you have any questions about this product by ORBISON,ROY, contact us by completing and submitting the form below. If you are looking for a specif part number, please include it with your message.